Booktalk: From perfect paper polygons and topological transformation flip books, from pizza cutting puzzles and loop-de-loop number spirals, discover the art in math, and the math in art. 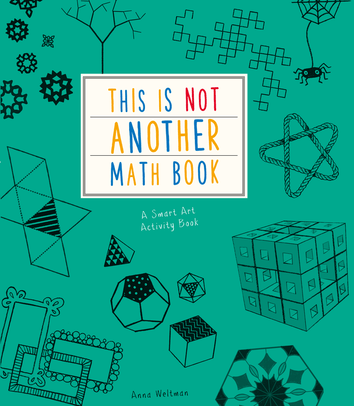 But remember, this is NOT another math book… or is it? National Geographic Kids Ultimate Space Atlas is a picture book-sized, softcover atlas. It’s small and light enough to take with you on car trips, vacations, etc. That’s the beauty of an atlas. The reader can invest as much or as little time as she wants—scan the Cool Facts, enjoy the images, or read more in-depth passages about constellations, lunar phases, favorite planets or the possibility of life in space. What portion of that information do I want to share? What is my purpose in sharing it? What is the best way for me to present it? But enough of librarian geekery, the point is that the atlas is organized into tabbed sections, Sky-High, Observing Space, Inner Solar System, Outer Solar System, Our Galaxy and Beyond, and Mapping Space. Each section contains similar insets against a background of images – natural photographs, colorized images, and artistic impressions. The lack of glossy pages takes away a bit of space’s luster, but space is magnificent even in matte finish. A few pages of fun activities round out the atlas and would suffice to keep a child occupied while waiting for dinner at a restaurant. Read more of this this review and see all of my reviews at Shelf-employed. Copyright © 2017 L.Taylor at Shelf-employed. All Rights Reserved. Categories: Science, STEM Friday round-up | Tags: space | Permalink. I love round things. I like to feel their smoothness. My hands want to reach around their curves. 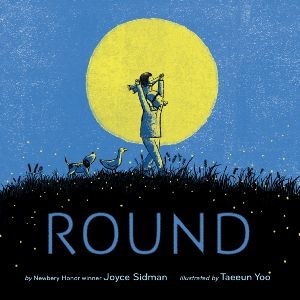 Through the pages of this book a young girl explores things that are round in nature: seeds, eggs, berries… Round things spread. Round things roll. What I like about this book: The diversity of round things! And the encouragement to look closer at the world around us. Also the reminder that some things that are round now were once jagged (like hills), and that some round things are ephemeral. And that some round things aren’t round all the time. There is also Back Matter! You know how I like books with Back Matter! Why are so many things in nature round? Joyce Sidman gives a few reasons including: round shapes distribute weight, round helps spread seeds or spores, and round things roll – which helps with distribution. 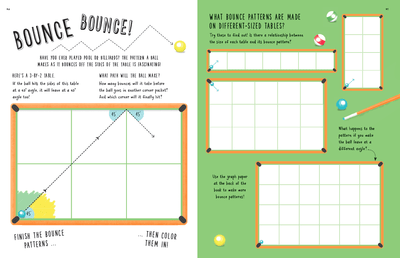 Head over to Archimedes Notebook for some Beyond the Book activities on Round Things. 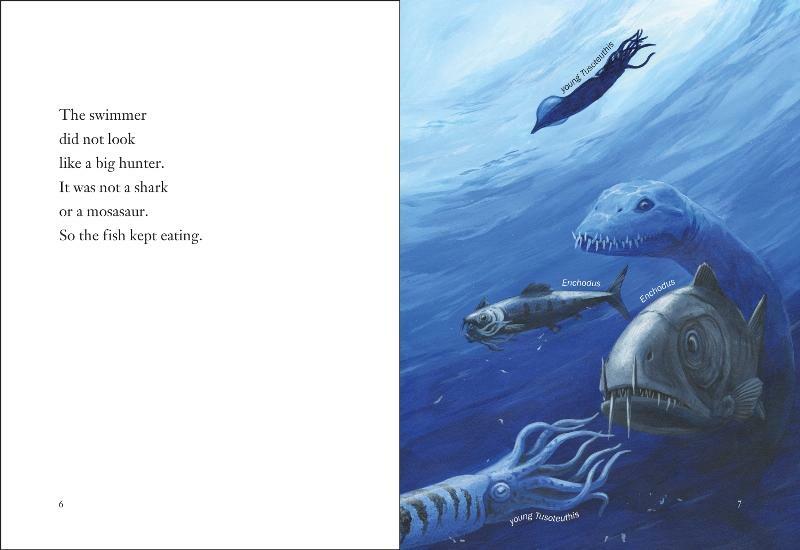 Booktalk: Ninety million years ago, giant dinosaurs roamed the earth, pterosaurs flew through the air, and giant reptiles and fish hunted in the oceans. The area that is now Kansas was covered by water and one of its inhabitants was the plesiosaur–a reptile with an extremely long neck and a huge body. 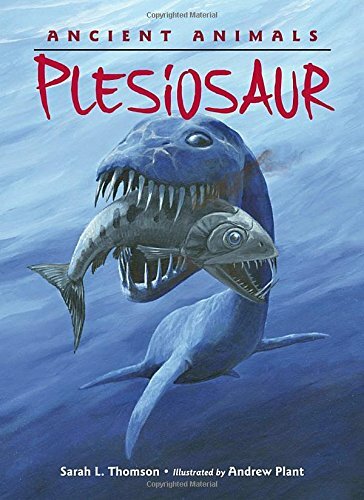 This early reader about the ancient plesiosaur brings the prehistoric world of this ocean-dwelling animal to life, explaining how scientists think these reptiles lived, hunted, and became extinct. 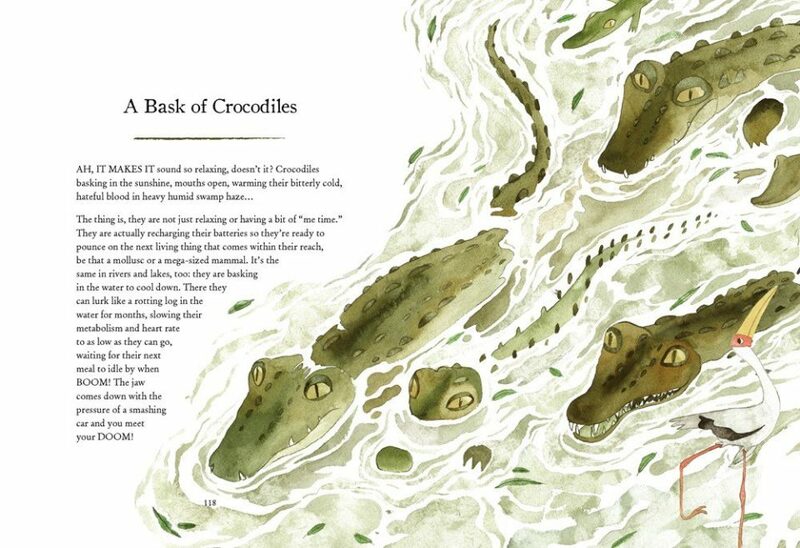 Back matter explores other reptiles both ancient and modern and provides additional print, visual, and web resources.. In the United States, 10 million people live in hurricane danger zones. 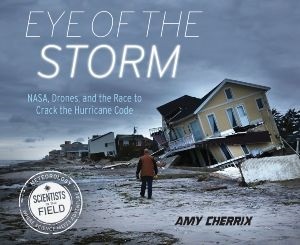 Given the storms of the past few weeks, I figured now would be the perfect time to introduce Amy Cherrix’s book – released this spring. Cherrix is no stranger to hurricanes, having survived the devastation of four major storms. So her first chapter, a story of a family caught by Hurricane Sandy (October, 2012) tingles with true life fight for survival. Sandy, you may recall, was a “frankenstorm” – a combined hurricane-snowstorm. Thought it was classified as a category 1 hurricane (Irma was category 5, Harvey a category 4) it was much larger. Sandy measured 1100 miles across and affected 24 states, from Maine to Florida and as far west as Michigan and Wisconsin. While the coast suffered from rain and storm surge, inland areas were buried in three feet of snow. The thing is, meteorologists can, using weather satellites and early warning systems, see hurricanes taking shape days – sometimes weeks – before they make landfall. Cherrix introduces us to the researchers behind the science and tools that meteorologists depend on. But first, she gives us a physics lesson in hurricane formation. Did you know that Atlantic hurricanes are “born” in the driest place on earth? They come from the Sahara Desert, and some of that desert dust may affect the intensity of the hurricane. Cyclonic storms are forming all around the earth all times of the year. We may not be able to stop them from forming, says Cherrix, but we can certainly learn more about how they grow and change. And while she points out that we can’t control the force (or intensity) of these storms, there are some who say that our contributions to climate change has done just that. “A warming planet means wetter storms, higher storm surges and more intense hurricanes, according to NASA’s Earth Observatory,” explains a recent article in the Houston Chronicle. Eye of the Storm reads like a science adventure. We meet the scientists who follow the data that their probes send back. Some of those are dropsondes, probes that fall through the storm and measure pressure, temperature, humidity, wind speed, and gps locations. They also send out thousands of rapid light pulses each second that scatter off particles in the storm and are bounced back to an instrument that reads the data. There are drone pilots on the ground and an in-air pilot to keep an eye in the sky. At the end, Cherrix has an emergency preparedness checklist: an evacuation kit to put together before the storm, how to prepare for pet evacuations, and what to do after the storm. There’s also a great list of apps for smart phones and tablets, and more. 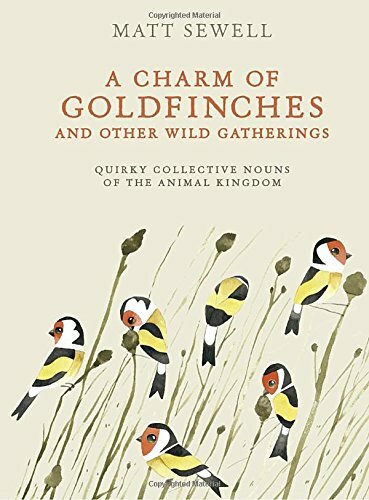 Booktalk: Most groups of wildlife can be described as a flock, herd, or shoal–but where is the fun in ending there? The book is divided into four sections. Discover the secret behind a “sleuth of bears” on the Land pages, keep your eyes open for a “watch of nightingales” on the Air pages, and learn something new about a “school of whales” in the Water pages. 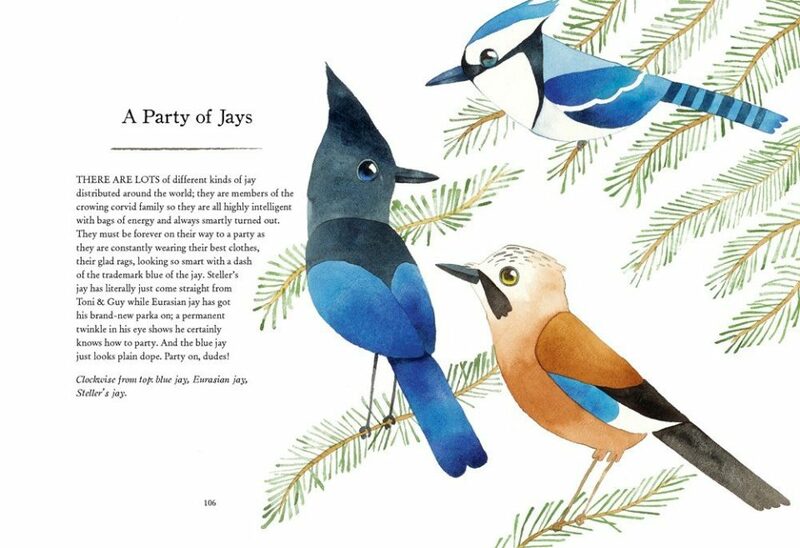 Then check off the animals you’ve see in real life on the Spotting and Jotting pages. No, but it can grunt. Lots of other animals grunt too. 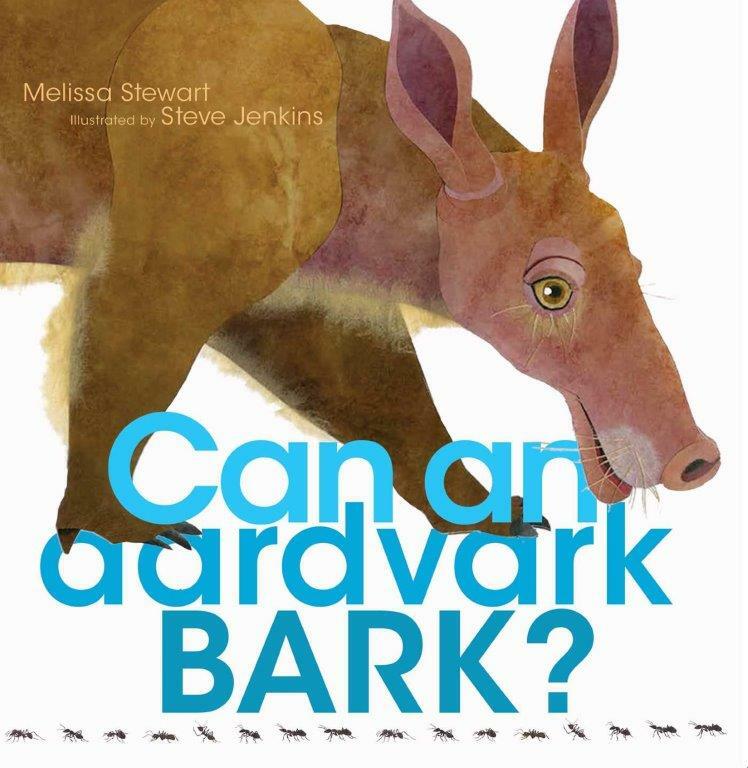 This is such a fun book, filled with barks, squeals, grunts, roars, and whines. Also bellows, growls, and laughs. Animals, it turns out, make all kinds of sounds. For all kinds of reasons – and Melissa gives us an inside look at what those sounds mean. What I like LOVE about this book: The sounds! If you’re reading it out loud, expect your listeners to bellow, roar, grunt, and bark along with the animals. 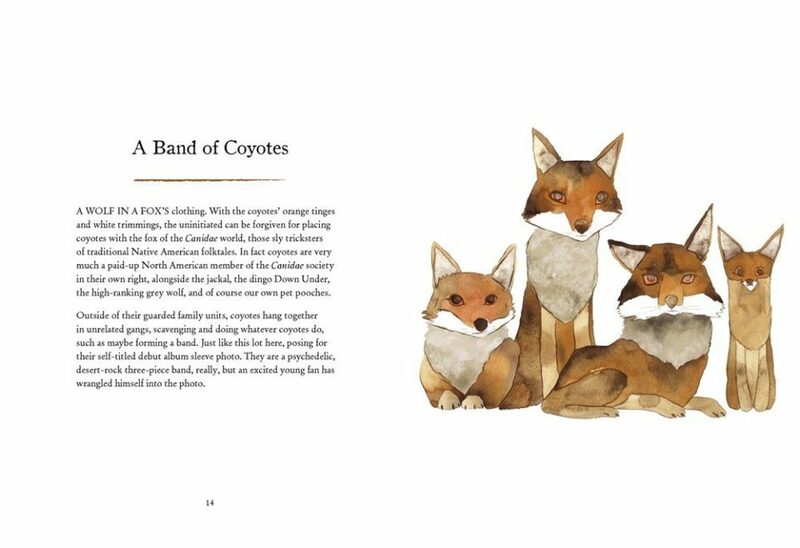 Every page if filled with SOUND – and plenty of examples of animals that make those sounds. Did you know that frogs bark and rats chortle? OK, I’ve heard frogs bark and quack, but laughing? I haven’t heard wild things laugh, chortle, or giggle with glee. But they do and Melissa gives us the facts. I love the illustrations! Steve Jenkins does such spectacular work, and it’s always fun to open up a new book filled with his cut-and-torn-paper artwork. And then there’s the structure! This is subtle and it took me a couple pages to realize what was going on – but then I discovered a pattern to the questions and the answers.I don’t want to spoil the fun of discovering it yourself. 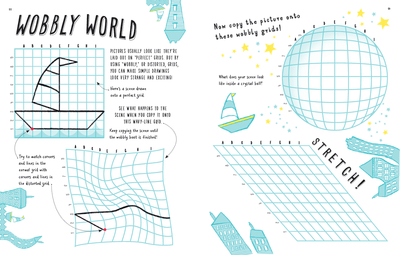 Head over to Archimedes Notebook for some Beyond the Book activities, and on Monday hop over to the GROG Blog where Melissa will share her story of how lo-o-o-ong it took to go from idea to book.